More than 20 delegates represented the Kingdom’s Indian Community at the Pravasi Bharatiya Divas that was held at the Indian City of Benares. 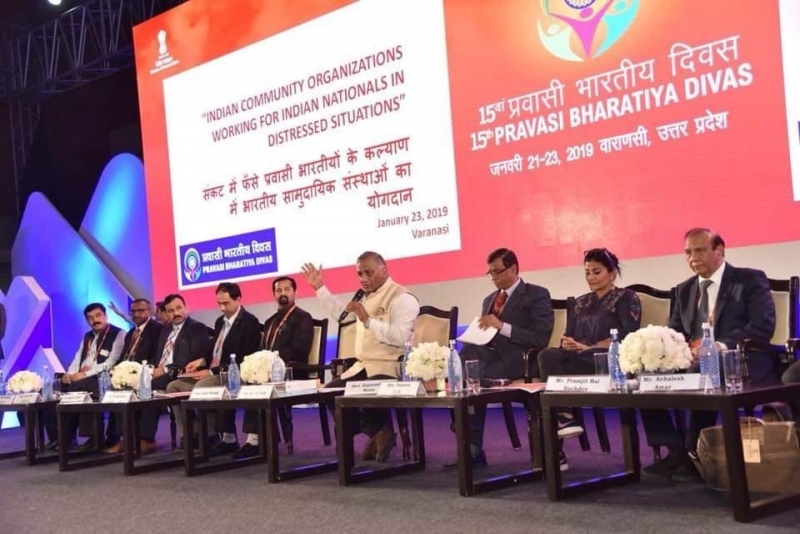 Pravasi Bharatiya Divas (PBD) is celebrated to strengthen the engagement of the overseas Indian community with the Government of India and reconnect them with their roots. The convention also honours Overseas Indians with the prestigious Pravasi Bharatiya Samman Award to recognise their contributions to various fields both in India and abroad. Bahrain’s Al Hilal Hospital Vice Chairman and leading businessman Dr V T Vinod was among those non-resident Indians who received the prestigious award. The PBD convention this year was held under the banner of ‘Role of Indian Diaspora in building New India’. Prime Minister of India Narendra Modi inaugurated the plenary session of the 15th edition of Pravasi Bharatiya Diwas at Deendayal Hastkala Sankul. Speaking about the welfare of Indians overseas, Mr Modi said passport and visa rules have been simplified and e visa had made it much easier for them to travel.